The State of Michigan requires anyone who wishes to work as a truck driver must have a Commercial Driver’s License (CDL). One must be at least 18 years old to drive in Michigan and 21 to drive interstate. To ensure that CDL applicants are physically fit for this line of work, they must obtain a DOT certificate from a DOT certified physician. After getting all the prerequisites, the next step is to visit the nearest DMV office and submit the DOT certificate, a valid driver’s license, and other supporting documents in order to take the written examination. If an applicant passes, he or she will be issued a learner’s permit to drive a CMV with a licensed driver. This is to let them gain the experience needed to prepare for the road test. Taking the road test is the last obstacle before one can get a CDL. There is no requirement that forces an applicant to undergo proper training before taking this test. However, it is highly recommended that applicants get enough practice before taking. Enrolling in an accredited truck driving school or program will help applicants ensure that they get their CDL in Michigan. Midwest Truck Driving School, Inc.
To submit a CD school to this list please use our contact form. All submissions must include the full name of the facility, address, and contact details. 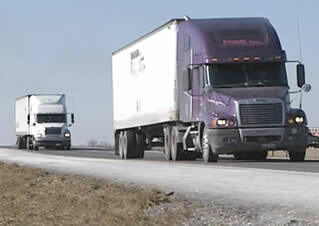 It is important to gain a Michigan Truck Driving License if you want to become a truck driver in this state. The new federal standards have imposed regulations which require certain qualifications for anyone to drive a commercial vehicle either interstate or intrastate. Truck driving is certainly a very profitable occupation but you also have to comply with state and federal requirements to make sure that only those who are qualified and who can drive safely and efficiently on the road are the ones who are maneuvering these trucks. In Michigan, it is the Department of State which issues commercial driving licenses. They come in two forms: the standard commercial driver’s license and the enhanced commercial driver’s license. The advantage of getting an enhanced CDL is that you can drive your truck across Mexico, Bermuda, Canada, and the Caribbean without the need to present other documents. To apply for either license, you will need to visit any local office or branch of the Secretary of State. You will need to present the following: Social Security Number, your current driver’s license, and the fees for application. Before taking the exams for the drivers permit, you should first study the Michigan CDL Manual which is available in driving licenses offices. Study the manual first as it contains the necessary information that you will need to pass the written exams. You should also be at least 18 years old at the time of the application to qualify for an intrastate license. Only those who are at least 21 years old are allowed to get an interstate CDL license. The fee for a first time applicant is $25 and additional endorsements cost $5 each. Applicants who are below 21 years old cannot apply for a Hazardous Materials endorsement. The written exam is administered in DMV offices. You should however make sure that you have studied the Michigan CDL Manual first before taking the written test. The exam is composed of 50 or 70 questions with an additional 25 questions for air-brakes depending on the classification that you are applying for. When you pass the written exam, you will be given a permit for you to practice driving an actual truck. This is a valid for a few months and you should take the practical exam before the permit expires. 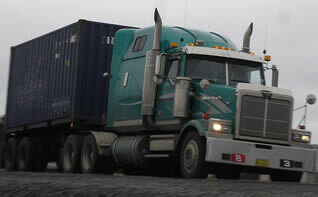 The practical exam is conducted in 3 parts: pre-trip inspection, basic skills, and road test. If you pass the last part of the test, then you will be given a Michigan Truck Driving License. It is valid for a few years and you will have to renew it every few years. Aside from these, you will also need to pass the vision and medical exams first before you can be eligible for the license. You should have a visual acuity of at least 20/40 and you should also pass the DOT medical certification conducted by an accredited medical professional. A hazmat endorsement will require a further background check which is conducted by the TSA. You can visit this page to find more information about truck driving schools in MI that offer training to help one gain the skills to pass the driver’s exams.